_ The Sacramento Regional Transit District, commonly referred to as RT, is the agency responsible for public transportation in the Sacramento, California area. 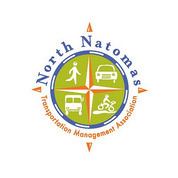 It was established on April 1, 1973, as a result of the acquisition of the Sacramento Transit Authority. Along with about 60 bus routes, RT operates a large light rail system and connecting bus service in the Sacramento area, covering 418 sq mi. It is currently the ninth busiest light rail system in the United States. In addition to the city of Sacramento, RT serves much of the northern portion of Sacramento County which includes the incorporated cities of Citrus Heights and Rancho Cordova. The unincorporated areas of Sacramento County under the RT service area include Arden Arcade, Carmichael, Fair Oaks, Florin, Gold River, North Highlands, Orangevale, Rio Linda and Rosemont. 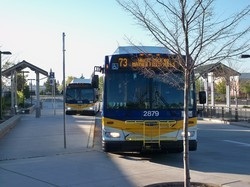 The system formerly provided express bus service between Downtown Sacramento and Elk Grove until 2005 when the newly created E-tran took over operations.